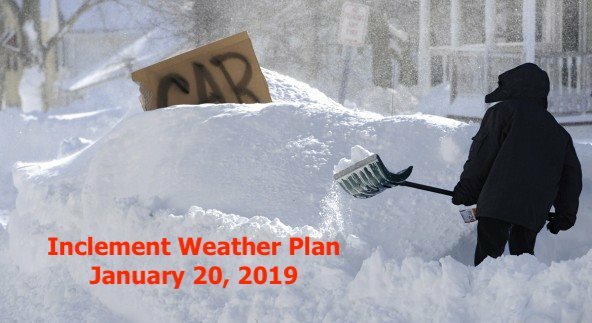 Inclement Weather Plan for Sunday January 20th. Due to the weather, all 9:00AM programming is canceled today, Sunday January 20th. As of 7:00 AM, the roads and parking lot are clear. The 10:15AM Worship Gathering will be held in the Dining hall for those who are able to come out. Plan for a cup of coffee and some table talk as we open God's Word together. Please err on the side of caution and stay home if you are unsure. For those staying home, we will be broadcasting on facebook live, and would love to interact with you. Child care will be provided for Nursery and Preschool. Elementary School is still TBD.